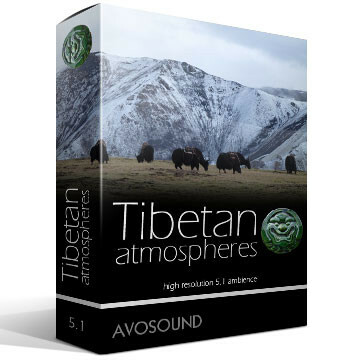 Tibetan Atmospheres contains sound recordings from the Tibetan Amdo region and comprises more than 63 high definition audio tracks with two hours of sound material from everyday life in Tibet. 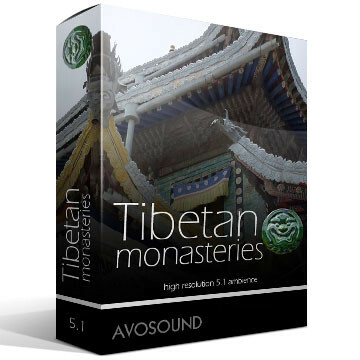 The Tibetan Atmospheres Sound Effects Library contains more than 63 high definition audio tracks and offers more than two hours of sound material from everyday life in Tibet. 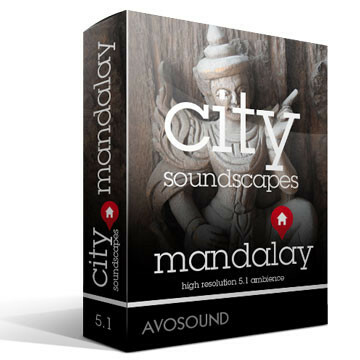 Unlike the archive Tibetan Monastery Atmospheres, which focuses on monks, prayer wheels and monasteries as well as ceremonies, Tibetan Atmospheres expands the soundscape to include the people and their country. 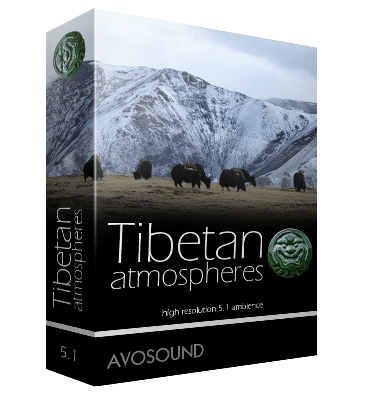 The Tibetan Atmospheres Sound Library takes you into the cities and villages, high up to the grasslands where nomads and yaks roam, as well as deep into forests and gorges. The journey ends on the mountain pass Mt Amnye Machen, which is considered the roof of the world. 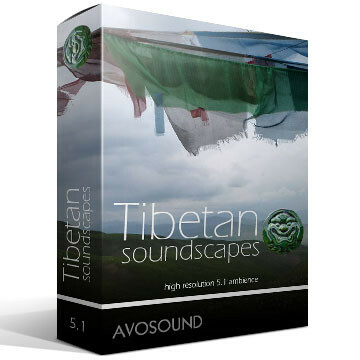 Tibetan Atmospheres is an Avosound product. 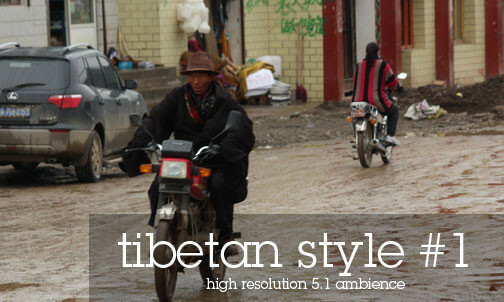 "Thank you for your patience, good service and good sounds"
Meet Yaks: Real Yaks for Real People! 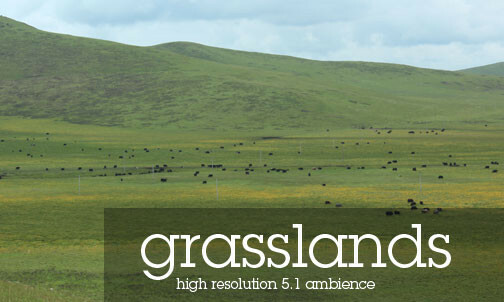 At an altitude of 4,000 meters above sea level, the never-ending Tibetan grasslands rise majestically. 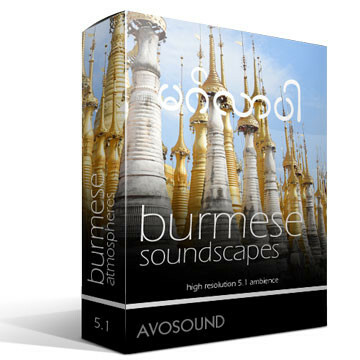 This is the home of the nomads and the yaks who are nestled between the rolling hills that cover the massive area of the grasslands. 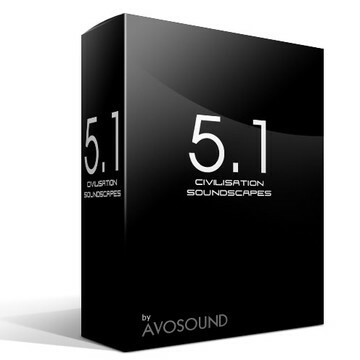 Trees and bushes do not grow up here anymore. 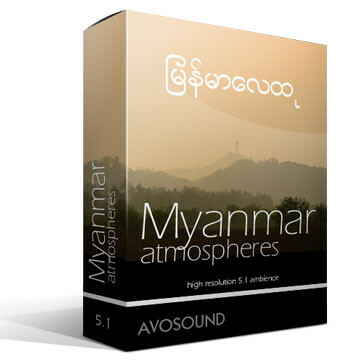 Forests are also non-existant at this altitude. 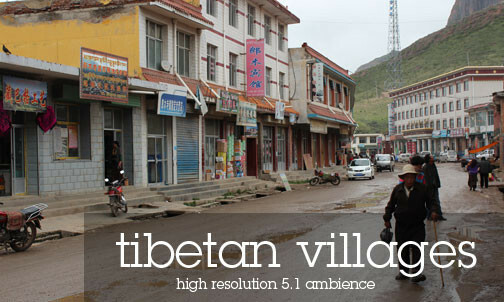 The only regular inhabitants of these areas are yaks, nomads, sheep, small birds, the Himalayan marmot, vultures and eagles - as well as the mythic Tibetan highland cat. The latter, by the way, is a master of camouflage. 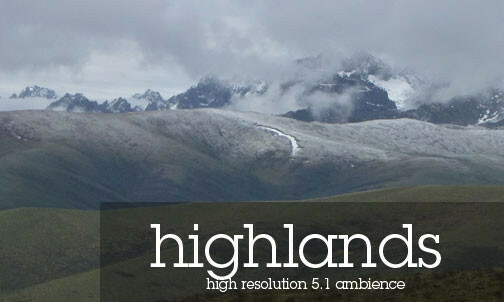 You are far more likely to encounter the Yeti rather than a highland cat! The Himalayan marmot lives in the Amdo region and is a regular inhabitant of the highland. 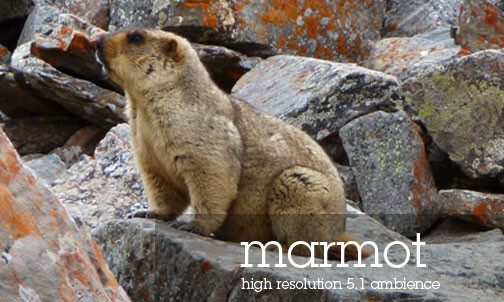 Like all marmots, they comunicate with a loud, highly characteristic whistling sound (these are often alarm calls). They like to play around in the grasslands in big groups of several dozen, chasing each other at high speed. Unfortunately, these cute little critters are red-listed as a highly endangered species. Encounters with the nomads' sheepdogs are generally rather unpleasant. These canines have a tendency to come at you snarling and barking, particularly if you happen to be on foot. Unlike well-behaved city dogs, these beasts are highly unpredictable. Should several of them come running at you, it is best not to show fear but instead shout at them. 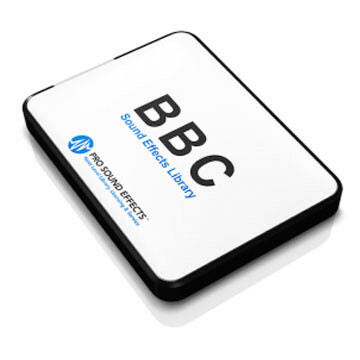 If that doesn't help, you can always throw stones at them (make sure you carry some in your pocket at all times). Oh, and pray you don't miss! 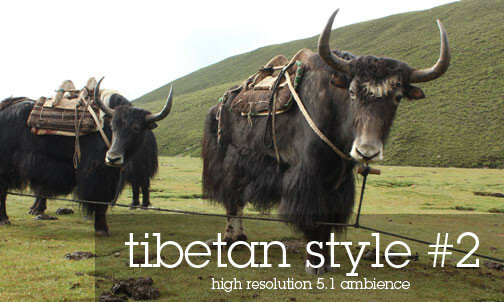 Unlike dogs, yaks are very pleasant animals. Whether the feeling is mutual, is hard to say from this picture. Despite their impressive size, yaks move around almost silently in the short grass of the highland. Seeing these silent giants in the grass makes one wonder why Swiss cows need to be so noisy with their bells and their constant mooing! Yaks, on the other hand, appear to communicate without any sound - apart from rather weird grunting noises. They also don't wear bells. But occasionally they are being used as mules to schlepp baggage across the highlands - something that they don't seem to enjoy very much. Which explains the occasional escape attempts that usually ends with a dip in a river - baggage included. 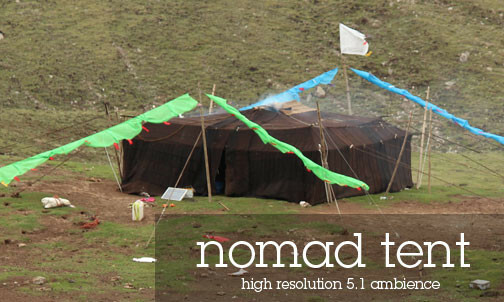 These are not freedom fighters but typical nomads. If you don't want to end up with a mouth full of insects, you better wear a headscarf (it also helps against high winds and rain). 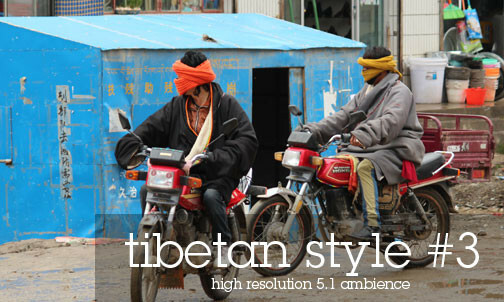 These headscarves are as much part of the Tibetan style as the Hondas. If you're nomad, you gotta drive a Honda (or at least that's what people told us). If you can't afford a Honda or even a three-weel-moped, you have the option of riding in the back of the cross-country truck - which, depending on the weather, is either a pleasant or unpleasant experience.